What makes one family scrapbook stand out from another? It's not always a matter of the photographs contained therein or the additions of stickers or memorabilia. A really phenomenal scrapbook includes well-written anecdotes accompanying all the images and items. As a writer, you can turn a good scrapbook into a great one by adding short blurbs throughout the pages. These sentence descriptions can serve a variety of purposes, as noted below. Imagine a few family scrapbook pages that include pictures of several generations all at elementary school age. Your great-grandmother in her frilly dress; your grandmother with her bobbed hair; your mother in plaid pants; and you in your bell bottoms tell a visual tale of the cycle of life and fashion. Add to these pictures captions, news items from the era (you can find these on the Internet or on microfiche at the public library) and anecdotes. For instance, if your mother's picture was from her first day of second grade, you might want to ask her about her most vivid memories from that time. Then, you can include her answers next to her photo. Talk with all the living relatives who grace the pages of your family scrapbook. Ask pointed questions about their photos, their fondest remembrances, and their most special holiday recollections. You can even devote sections of your scrapbook to relatives (Aunt Erma is highlighted on pages 10-11; Great Uncle Henry, about whom little is known, might only need half of page 15.) Though some of the stories you gather may seem mundane to the people who have heard them over and over, they will be highly prized as the scrapbook is passed down from one generation to another. Try turning your family scrapbooks into theme books. Make one for each relative, each branch of the family tree, or even each decade. Include appropriate stories and memories along with nostalgic photos and small items (such as graduation tassels, pressed flowers, or quilt squares). However, be prepared for a deluge of requests after your scrapbooks are seen; everyone is going to want a special one! If your relatives are open to this idea, ask each of them to provide you with their funniest anecdotes from their youth (or adulthood). Then, as an editor, rework their answers into short essays for your scrapbook. Every few pages, add one of these memories to add substance and depth. And if a story involves several people, you might even want to tell the tale from each of their perspectives as a celebration of your family's history. If you are like most people, there are plenty of friends you consider your family. 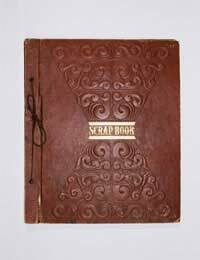 Therefore, you might want to make a scrapbook devoted to those persons who have been unofficially "adopted" into your family. These types of memory books can be chock-full of stories of high school antics, college thrills, and amazing vacations. It's a great excuse for you to call all your friends to get their stories, recipes, and personal information, too. Remember - family scrapbooking can and should be about a labour of love. And if you want to turn it into a paycheck, consider helping others create scrapbooks, too. Just be prepared to turn people away if you have to; otherwise, you could spend every waking hour at your new profession.